SPUR was formed in 1966 by conservation-minded citizens of Wayne County. Our goal is to promote better use local natural resources and to protect significant land areas, such as the Whitewater Gorge. This not-for-profit group continues to support and sponsor educational programs, legislation, and zoning. 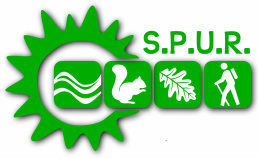 In 2019, SPUR will award three grants to projects that better the local environment. Details on the grant application can be found here.